The $100k Investment Prize is the most coveted title at the event. We bring together a group of fantastic angel investors, and in a matter of 48 hours crown the title of the $100k Investment Prize winner. This prize is open to ANY startup at the event- no pre-registration required. Startups have until end of day Thursday to pitch to any $100k Investor at the event, they’ll be wearing a judge badge and a BLUE lanyard- the complete list will be announced next month! Track them down onsite, or find them in the $100k Prize tent in the Tent Village Thursday, July 13th, from Noon-5pm. The winner(s) will be selected, and announced at the afternoon ceremonies. Say goodbye to the standard terms, this year, you will tell the investors what you’ll give them in exchange for the $100k. Debt? Equity? Royalties? Make your pitch to the investor judges in the $100k Prize tent Thursday July 13th. This is the convertible note agreement we’ve used in previous years to give you an idea of what you can offer! Phil may have an engineering background, but this seasoned entrepreneur got a taste of the startup world fresh out of university. His journey started in the early 90s pre-internet era when he joined Public Technologies Multimedia—a startup that grew from a handful of people, to hundreds of people in just a few short years. Although he launched his career as a programmer, Phil was quickly drawn into the business side of startups and has pursued this vocation ever since. From PTM he joined Locus Dialogue, who was eventually bought by InfoSpace (another startup that grew quickly). In 2003 Phil decided to start his own chapter with Embrase, a business-consulting firm centered on bringing innovation to the enterprise market. Despite his 20+ years of executive experience driving strategic business development, his heart was always in startups so he created a series of events that have now come to be the largest events in Canada for entrepreneurs. 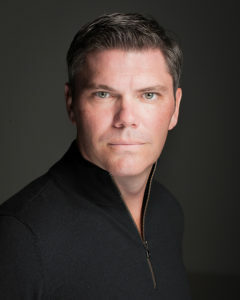 Phil is also a board member of the Osmo Foundation and is the President and Chairman of the Montreal Startup Foundation. 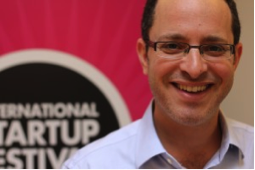 As the Founder of Startupfest, and the Elevator World Tour, Phil has invested in every one of the investment prizes- including Paris, and Tel Aviv. Anna Goodson is the CEO & Founder of Anna Goodson Illustration Agency and MEATMARKET Photography. Anna has spent the last 25 years working with creatives and promoting their work. She’s passionate, innovative and is considered a leader and trend setter in her field. 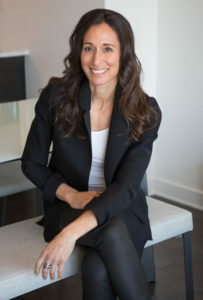 Having launched her first website back in 1996, Anna has always been interested in technology and is an active member of the Startup community in Montreal as well as a Mentor and Angel Investor. A strong promoter of women entrepreneurs, Anna hopes to inspire other young women to follow their dreams of starting a business. She believes that freedom doesn’t have a price tag and that balance is the key to real success and happiness in life. Anna is a passionate entrepreneur and is an active member of Montreal’s Startup community and for the fourth consecutive year, she will sit on the Jury of Startupfest. 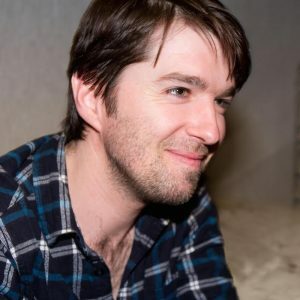 Born and raised in Victoria, BC, Tom now lives in San Francisco, where he is the Founder of BetterCompany, an anonymous career advice community for every career and is an angel investor in more than 30 companies. He is one of the most active investors in funding early-stage Canadian startups. A serial innovator whose proudest professional accomplishments include helping pioneer modern-day crowdfunding, Tom has a legacy of investing in and creating world changing ideas and organizations. Now a father of two young children, he has coined the term the “Survival Economy,” to describe his thesis for the companies he looks to invest in. Tom and his family return to their home on Vancouver Island as often as they can, especially in the summer. Cary is a seasoned chief operator, angel investor and active startup mentor for 500 Startups Canada, and Real Ventures (FounderFuel). After co-founding and successfully bringing Web APM company Coradiant to exit, he’s managed several prosperous ventures, including SPORTLOGiQ, where he currently leads operations for the global leader in AI based sports analytics. He has over 250 million dollars of exits under his belt and is a strong proponent of boosting Canada’s tech scene on the world scale. 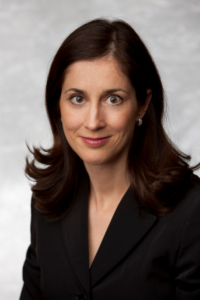 Madam Nathalie Marcoux, CPA CA, is vice-president finance at Capinabel inc, a private holding company, since 2001. She is a member of the board of TC Transcontinental inc and president of the advisory board of HEC’s Remi Marcoux entrepreneurial track. Mme Marcoux is also a member of the board of Anges Québec, a network of private investors that finance and coaches innovative and high-potential companies in Quebec, member of the Tandemlaunch LPAC and a member of the advisory board of the Carmelle and Remi Marcoux Chair in Arts Management. Madam Marcoux has been on the jury of c2mtl’s 25 Emerging Entrepreneurs, founded by the Bronfman Foundation and a regional and national member of E&amp;Y’s Entrepreneur of the Year contest. Madam Marcoux holds a B.A. from McGill University and a B.Com from HEC. Grise Global actively seeks investments across a wide mandate. Most recently, Grise Global invested in Splash Premium Mixers (www.splashmixers.com). Splash is a non-alcoholic, all natural, one to one measured, gluten-free, kosher, non-GMO, 20 calorie per serving mixer with the tag line: &quot;Your Spirit Has Met Its Match.&quot; Other investments include Montreal based WAVO, GuestDriven, ShareTheBus, and Toronto based OneClass. Jamie is a Patron of the Signature Theatre Company and an active fundraiser for the Mount Sinai Hospital Benefit Committee, NYC. An entrepreneur with a dedicated belief in the power of innovation and new technology to improve the way we work and live; Trent Johnsen has been at the forefront of successive waves of innovation throughout his career. With pioneering work in wireless and mobile communications, Internet Data Cloud storage, Voice over IP, and Real-Time Communications software, Trent has founded and sold multiple private and public companies. 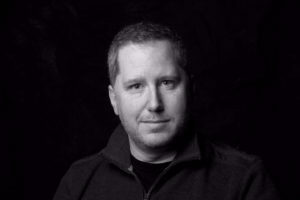 He is CEO and founder of Hookflash Inc. Hookflash has been recognized by Microsoft, Google, Cisco, and global standards bodies (W3C and IETF) as a leader in real-time communications software. Trent shares his passion for innovation, education and business as a member of the A100, and a previous member of the Board of Directors and Board Chair for Junior Achievement of Southern Alberta. Jesse Kaplan is a Managing Partner with SeekCapital Management in Toronto, a private investment company. He is also an active angel investor in the Canadian market. He previously spent time working in the financial markets in New York City, before seeing the light of day of the venture community in Canada. Serial entrepreneur, passionate businessman, innovative and start-up specialist. His leadership, business vision and sense of entrepreneurship are an advantage to any company. 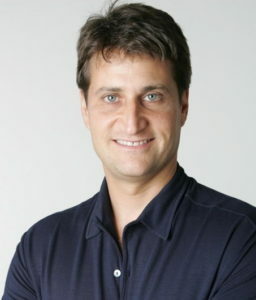 CEO and co-founder of Biztree,which he launched back in 2001. A true entrepreneur, Jonathon started his first company when he was 17. He’s always been interested in innovations and new ideas within the technology and entertainment industries. As an Internet visionary and natural leader, Jonathon’s expertise includes finding innovative business models, creating world class brands, putting together proven growth strategies, business and marketing planning, and overall management. 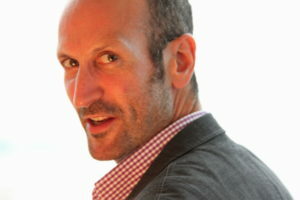 Ian Wooden is the Managing Director and CEO of IJW & Co., Ltd. Since 2004, he has advised over 100 national and global corporations in a multitude of industries with business services including corporate divestiture, management buyout, employee stock options, and corporate acquisitions. Mr. Wooden has made significant contributions to the M&A profession in Canada. He is theco-founder and board member of the M&A Club, a networking group comprising of 7 chapters with over 300 merger and acquisition professionals and corporations. In 2013, he was awarded Top 40 under 40 by M&A Advisor in the Dealmaker category. Mathew is a Toronto based real estate developer and a creative entrepreneur. Mr. Rosenblatt’s experience includes master planning and revitalizing of the internationally acclaimed Distillery Historic District in Toronto, the Creation of the Toronto Christmas Market, an event that attracts over 500,000 visitors per year. The Toronto Christmas Market is considered by USA today, Mashable and Fodors magazine to be one of the Top 10 Christmas Market in the world. Outside of his own businesses, Mr. Rosenblatt also acts as a marketing and business consultant to a number of other Canadian companies. Gary A. Pudles is a “serial entrepreneur” who focuses on helping organizations execute better and become more profitable all while having fun. He is the Founder and CEO of AnswerNet, and the co-founder of TextGen, SA Billing, Splendtastic, and Subout. He is a winner of the SmartCEO Best-Run Companies award and the prestigious “Ernst and Young Entrepreneur of the Year” for business service providers and has led AnswerNet to the 21st spot on the Inc. 500. He also teaches Entrepreneurship at the University Of Pennsylvania’s Wharton School Of Business and is a regular participant in Startup Camp and the Intl’ Startup Festival. Pudles’ philosophy is that every project he is involved in must be with the intent of helping companies run their businesses more efficiently and profitably. However, it must be according to their unique style – not by forcing them into a predetermined template, but by replicating proven processes and adding that custom twist unique to their needs. Andrew’s main gig is building teams and giving them the tools & latitude they need to create software that users love. He started his career in investment banking at Bank of America Merrill Lynch in NYC before joining Solera, a provider of software and services for auto, home and digital identity management in 80 countries, in 2009. Andrew has completed over 10 acquisitions with total deal value exceeding $10B and is a firm believer that a team’s curiosity, resolve and aptitude outweighs any idea or product suite. Andrew has built businesses greenfield as well as rebuilt stagnant legacy entities into growth platforms. His peers label him an intrapreneur, and he’s experienced firsthand the challenges of igniting disruptive innovation in a large organization. Outside of work, he’s both a formal and informal adviser to several startups ranging from seed to Series C stage. Andrew has lived in New York City, St. Louis, San Diego, Sydney, Melbourne, Portland and Toronto. Andrew is new to Canada as of three months ago & is excited to connect with the local community!